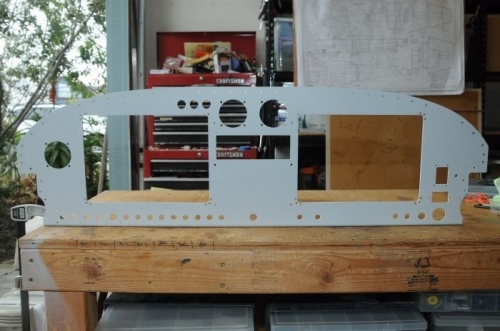 Riveted the stiffeners to the primed panel and did a fit check. I found that when the canopy is closed, the top of the panel is a bit proud of the tube that supports the glare shield in the canopy frame .. about 3/32, only in the center area. I will remove the center supports and rework them to get the clearance back. Otherwise, the panel fits fine!